DVDS HAVE ARRIVED AND READY TO SHIP!!! ONLY A FEW PRINT EDITIONS LEFT!!! The first pressing of the DVD of the film has arrived and is ready to ship!!! The DVD/PRINT BUNDLE is nearing the end of the first edition run. 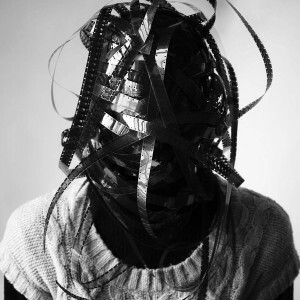 There are only a few left and several A.P.s (Artist's Proofs) that can be sold so if you want a Storm Thorgerson image (I have a sneaking suspicion Storm was making a jab at a portrait of my hair with the 16mm film strips! ), get it today!!! The image quality and printing of the packaging of the DVD looks amazing. It's a real "thing of beauty", as Storm would often say. 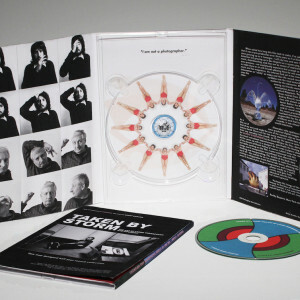 The bonus features on the DVD will not be available anywhere else and include an extended scene with Robert Plant and Storm talking about the incredible packaging and design of IN THROUGH THE OUT DOOR, an extra with Peter Gabriel, and Simon Neil and James Johnston of BIFFY CLYRO talking about the singles campaign and design for their record PUZZLE. One of my personal favorite bonuses is a video shot with Storm in a taxi in London which I think captures an intimate look at his captivating personality. Once again, the DVD is NTSC but is coded REGION FREE so it should be playable on most DVD players. 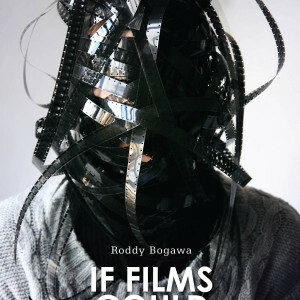 THE FILM IS NOW AVAILABLE TO STREAM IN MOST TERRITORIES WORLDWIDE through the VOD header. Besides being able to stream the feature, there is another SPECIAL DIGITAL FEATURES bonus that is entirely different than the bonus material on the film's DVD. The SPECIAL DIGITAL FEATURES is available for streaming on its own or bundled with the film and a few folders of downloadable material including several design posters for the film in high resolution that you can print up for your wall. The VOD link is takenbystorm.vhx.tv and you can even gift it to friends!! !